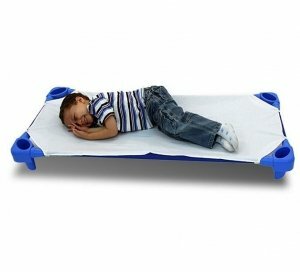 The A+ Child supply Super Lightweight Large Cot provides preschoolers a comfortable spot for naptime. The easy-to-clean mesh fabric is vinyl coated for durability. The stackable design allows the cots to nest together easily! It can support up to 150 pounds and has a 10 year life! This cot is ideal for children ages 4-6. Some assembly required. If you have any questions about this product by A + Child Supply, contact us by completing and submitting the form below. If you are looking for a specif part number, please include it with your message.